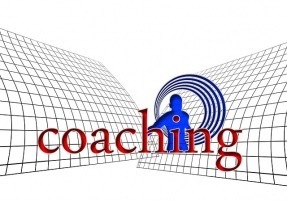 Most of us feel coaching has the capacity to help people. We have friends and acquaintances who excel at what they regularly do and even at what they are not used to doing. When we learn they are getting help from a compassionate and supportive individual who spends time with them listening to their qualms and asking them questions they had not asked themselves before, we long for someone like that. So, it’s only natural that we link coaching to the ability to achieve extraordinary results. Although that may be the case, there is a whole lot more to it and we as executive coaches must understand that coaching may not be for everybody. Focus. To begin with, our span of attention takes us in multiple directions every day. Every hour. And even every minute. If you don’t believe so, just turn off your smartphone and see what happens. Even if your client were face to face with you, the client would probably be typing with his thumbs relentlessly as your words fly away without their content or intent being noticed. Focus is the privilege of a few. Coaching compels us to not let our mind drift away. And people don’t like that. Transparency. People don’t like sharing their intimate thoughts and feelings either. Many don’t do it with their loved ones as that may boomerang on them. Why would they do it with a perfect stranger, even if they assure confidentiality as coaches would? Building relationships was something they did at school while protected by their youthful lack of responsibility. Opening up as adults makes no sense. They need to save face at every step of the way. It’s a wild world out there! Diverse Views. When it comes to changing the way people look at things, some people feel uncomfortable. They like to stick to their old ways. Why would anyone challenge them just because they haven’t gone through what they have? Coaches will ask their clients to place themselves in somebody else’s shoes. Not fun. Honesty. Telling it like it is may show people out of your job. Particularly if they don’t have enough seniority or access to high places that protect their careers. Plus, the kind of straightforwardness that coaches argue for may work in the private sessions with them but won’t get them a promotion in real life. Coaching requires more from people than they are normally aware of. If asked, few clients would be willing or capable to meet those requirements. And even if they do, it’s always tempting to take shortcuts, not honor their word or make do on their commitments. So, is coaching for one of your potential clients? It is not about the coach or the coaching process. Who your client is as a person is what matters. What makes people change and overcome otherwise unsurmountable obstacles is not looking outside. As Tim Gallwey taught us all: it’s about focusing on the inner game. On the thoughts and conversations your potential clients have with themselves, both good and bad. Coaching may help unveil them. But it is the capacity of people to look inside what makes all the difference when it comes to increasing their ability to achieve extraordinary results and not getting shy or overconfident in the process. That is why coaching may not be for everyone. About the Author: Mauricio Cardenas is Latin America Regional Director at LIM, Leadership in Motion, global network of OD consultants specialized on strategy deployment, innovation project management and organizational culture transformation. You may reach him at mauricio.cardenas@limglobal.net or @mmacarden. See his profile at www.linkedin.com/in/mauriciocardenas1/ .